This year my students in grade 7 have had no standard tests. Instead, they are graded based on their performance during lessons. The idea behind all of this is that I want my students to develop competences that will help them in the learning process, which will allow them to become independent problem solvers. Students are learning how to apply their existing knowledge in new situations and to use different sources of information to their advantage. I strongly believe that this way of working will have a positive impact on students’ interest in mathematics. 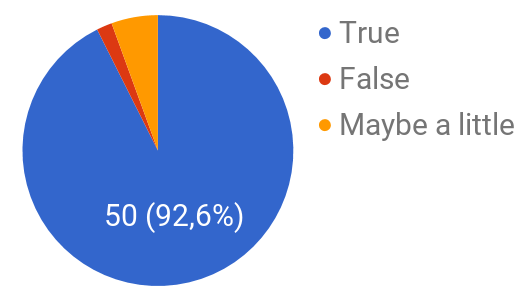 This has already been confirmed in part 7 of this series, where I wrote about how I had asked my students’ guardians if they had noticed any difference in this particular issue, and their answers were encouraging to say the least. Let’s start with examining how the methods and material we use for learning are affecting the students’ development. A big part of working according to the student centered model is to ensure to apply what you know when learning new content. In order for this to work, the students must be able to use different kinds of sources and a math book that supports this process. What about the math book that we are using? Finding a book designed according to the student centered model is difficult. 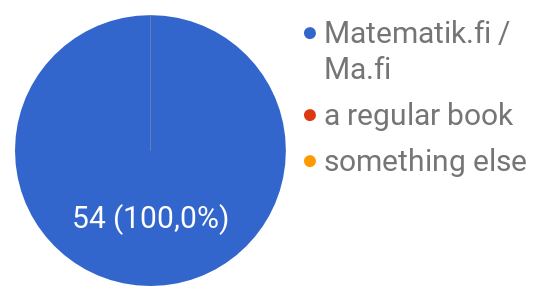 However, Matematik.fi (Swedish) or Ma.fi (Finnish) fulfills this criterion, so obviously we are using it. Since this book is digital, it has fantastic functions, which support the students’ learning process, that a regular book just would not have. There are many advantages with the math book being digital. The “theory button” and the “digital tests” are features that the students find particularly useful. The math book is of course an important source in the learning process, however, there are so many more. I see the use in using several sources of information in the learning process, such as the internet, theory in the math book, friends etc. Obviously the students understand that using several sources of information is useful in the learning process. 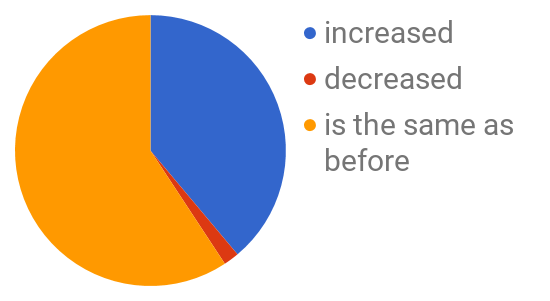 74% of the students also said that they know they are improving their ability to use these sources. 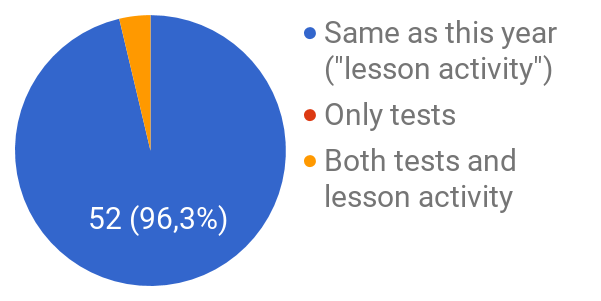 I had specifically asked them if they try to help their friends during lessons, and most students claimed that they did. This shows that the classes are functioning and this will lead to great skills in collaboration. Developing these competences is not only important for later life but also a big step in becoming an independent problem solver. Once the students start to feel that they are becoming independent problem solvers, their confidence in their skills will grow. This is an important step in developing an interest for mathematics. From all of this it is safe to say that the material and methods we are using are giving desired result. However, learning how to read mathematical theory or to collaborate requires lots of practice and guidance. Therefore, feedback from the teacher is incredible important and the focus should almost entirely be on guiding the students in the right direction, especially at the beginning of the year. This is why the development of these competences should be a major part of their grade. In part 2 of this series, I described in detail how the grading works, so now I will immediately show you what the students think about this. 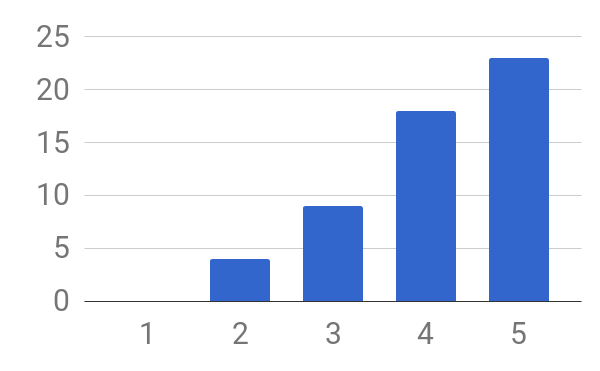 I am happy with how I am being graded (scale from disagree to agree). The reason why the students like this way of being graded is obvious. If they put in a lot of hard work and effort, I as a teacher acknowledge this and they are rewarded with a good grade. Basically, the only thing I demand of my students is that they always try their best. The pressure of achieving quick results from standard tests is removed, and this helps the students to relax and focus on learning. When not having standard tests, the stress in the learning process is reduced. 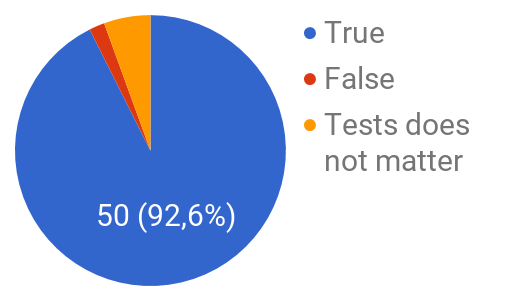 It is obvious that my students do not miss having standard tests. However, if they wanted to have tests, and as my classroom is a democracy, they are able to affect how they would like to be graded next year. How would you like to be graded next year? 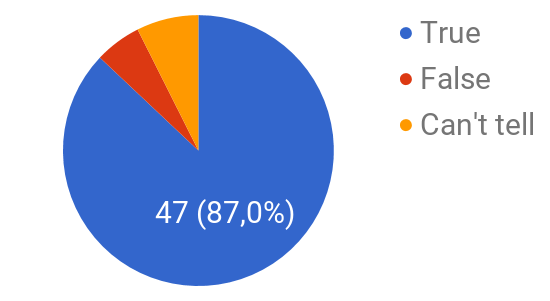 I also asked them if the students would like to be graded in the same way in other subjects as they are in mathematics, 74% said yes while 20% could not tell. From all of this I think it is safe to say that the majority of the students like the way we are working and how they are being graded. So, has this had any impact on their interest and attitude towards mathematics? I am incredibly satisfied with these results. 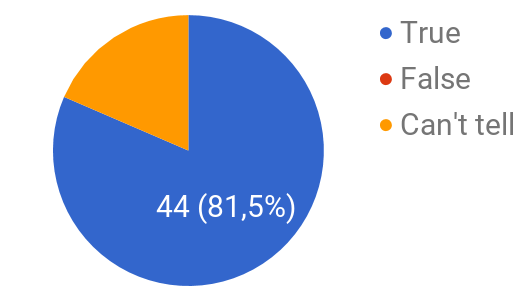 Already after eight months of working, 40% of the students claim to have an increased interest for mathematics and 87% of the students think that it is important to learn mathematics. This is an incredibly healthy attitude to have in grade seven, and with this attitude learning is easy. Creating a learning environment suitable for the modern student takes time, but it is possible. Once things start to work and the students take responsibility for their learning, the focus on the lessons can shift more and more towards learning mathematics. This is why I am confident that my students will start to make incredible progress in the upcoming two years, if we have the opportunity to finish what we have started. But are the students learning anything? Are they able to perform on tests? Of course they are, and they will prove it. 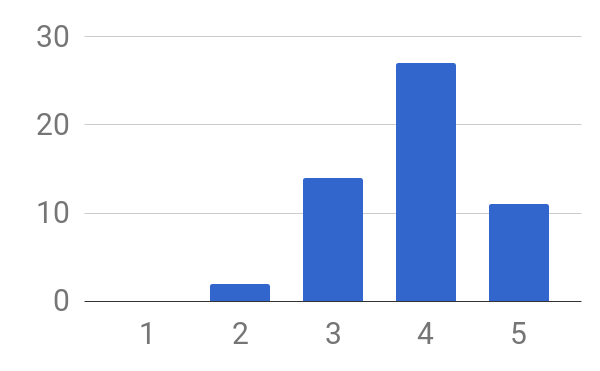 Since we are using a digital math book, and it is possible that it might not be suitable for everyone, the students were of course able to vote on what math book they would like to use next year. Would you like to learn more about the digital math book that 100% of the students want to continue working with next year? Then please visit Ma.fi (available in English, Swedish and Finnish). “Finding a book designed according to the student centered model is difficult. However, Matematik.fi (Swedish) or Ma.fi (Finnish) fulfills this criterion, so obviously we are using it. ” -> both books come from Finland. Finnish and Swedish are official languages in Finland (there are more). We are making open textbooks also in Wikibooks: https://fi.m.wikibooks.org/wiki/Wikikirjasto:Perusopetuksen_osasto Anybody can modify, including pupils. Just like Wikipedia. What purpose does report cards have in the modern school? Copyright © 2019 Barman.fi. Powered by WordPress. Theme: Spacious by ThemeGrill.